The new Sydney City Card is based around an interactive mobile app featuring a host of Sydney hotspots on the tourist trail including The Rocks, Darling Harbour, Sydney Fish Market, Chinatown and Sydney Aquarium. Built on the Alipay app payments platform, it will use geo-targeted promotions to highlight sights to Chinese tourists, as well as allow them to pay for entry and experiences. The pilot is running for 12 months and was launched just in time for the Chinese New Year, a week-long holiday in February that is expected to see 7 million Chinese travel to overseas destinations, including popular favourite, Australia. The 1.4 million Chinese visitors who came to Australia in the year to November represented 27 per cent of total tourism spend from international visitors nationally. According to a recent survey conducted by Nielsen, 99 per cent of Chinese tourists were found to have the Alipay app already instead on their mobile phones and that more than 90 per cent would use mobile payments if offered while travelling overseas. More than 100 retailers are accepting Alipay, including BridgeClimb Sydney and Captain Cook Cruises, who are also involved in the program. Sydney’s not the only location to be trialling such an initiative – Alipay’s Sydney location-based offering is running at the same time as a similar pilot in Queenstown, New Zealand. Tourism Australia MD, John O’Sullivan, said Lunar New Year has become an increasingly important time for Australian tourism, and that high-value travellers are looking to use the holiday break as an opportunity to travel overseas. 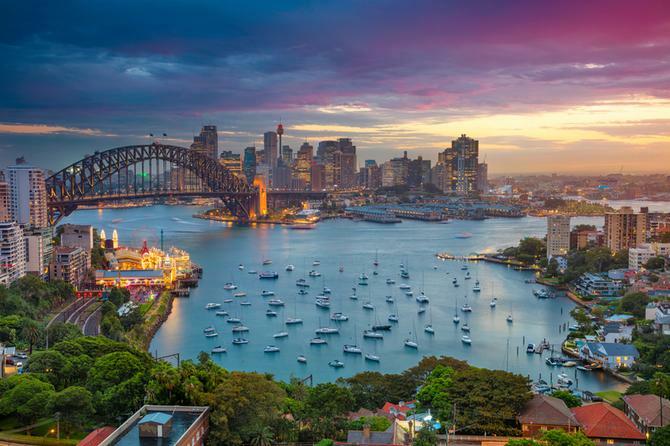 “The Sydney City Card pilot is an innovative approach to engaging with our largest tourist market and provides Australia with a critical advantage over other regional tourist hotspots during this peak annual travel period,” said Alipay A/NZ country manager, George Lawson. The Sydney City Card is built into the Alipay app, so not opt-in is required.